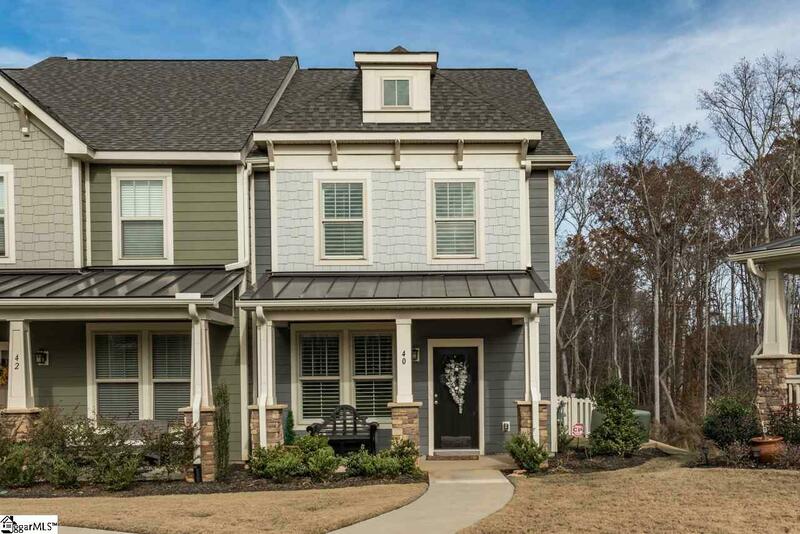 Village at Redfearn is a quaint community of townhouses and single family homes within walking distance to downtown Simpsonville and minutes to the restaurants, shops and movie theater on Fairview Road yet just 20 minutes from the award-winning downtown Greenville. 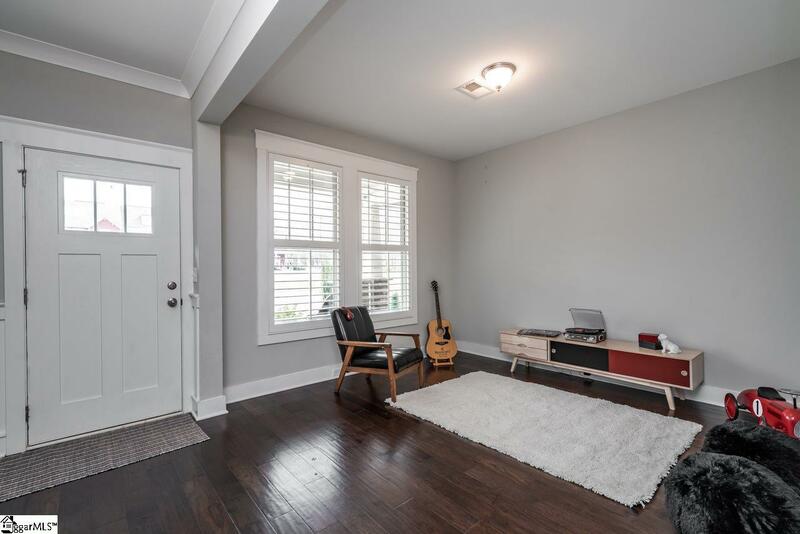 This open floor plan, end unit townhouse, which is maintenance free, has plantation shutters, hardwood floors, extensive moldings, a fenced in backyard and a detached 2 car garage. Upstairs the master bedroom has two closets and an en suite bathroom. 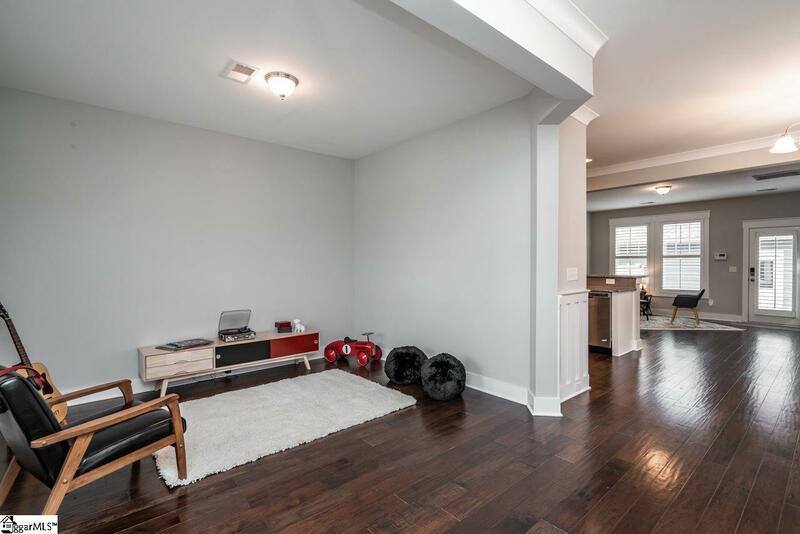 In addition, there are two more bedrooms, a hall bath and laundry room. 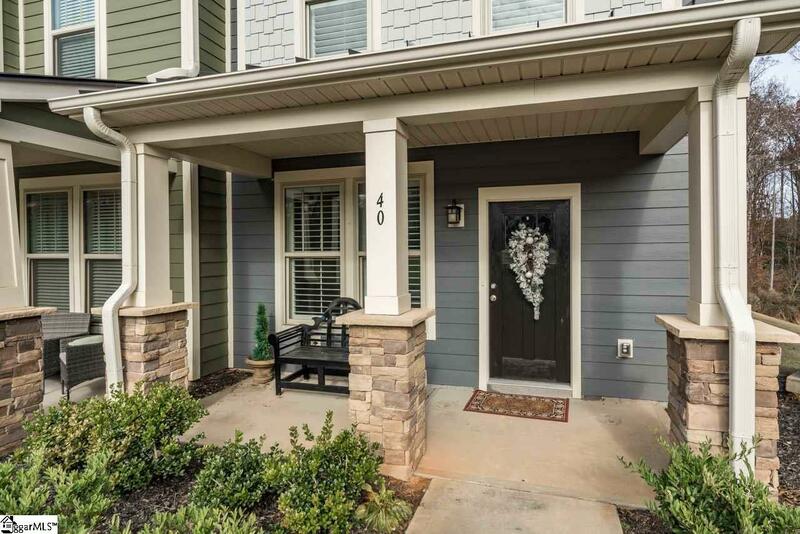 Theres a backyard patio to enjoy and a covered front porch that overlooks the community green space. Call today for a showing.